Nokia executives will dominate leadership of the new Networks business once the $17.6 billion acquisition of Alcatel-Lucent is completed, but no CTO role has been announced at the new venture. Nokia CEO Rajeev Suri this morning unveiled his management team to run the Networks business, which will be split into four groups: Mobile Networks, Fixed Networks, Applications & Analytics and IP/Optical Networks. 10 out of a total 13 members in the planned group leadership team come from Nokia. Samih Elhage, currently chief financial and operating officer of Nokia Networks, will become president of the combined Mobile Networks division. The Fixed Networks business (acquired from Alcatel-Lucent) will be run by Federico Guillen, currently president of fixed networks at AlcaLu. The Applications & Analytics unit will also have an Alcatel-Lucent head – Bhaskar Gorti, currently president of AlcaLu’s IP platforms division. And the third – and only other – Alcatel-Lucent representative at top management level will be the new head of the IP/Optical Networks, Basil Alwan, currently president of the vendor’s IP Routing and Transport unit. Patents and licensing division Nokia Technologies will remain as a separate entity and will continue to be run by Ramzi Haidamus. Nokia said it planned to report its financial results as two divisions, the Networks business and Nokia Technologies. Suri also announced six additional leaders at the combined company: Timo Ihamuotila, Nokia’s group chief financial officer, will serve as CFO of the combined company. Ashish Chowdhary, currently chief business officer of Nokia Networks, will become chief customer operations officer, while Marc Rouanne, currently head of mobile broadband at Nokia Networks, will assume a new role of chief innovation and operating officer. 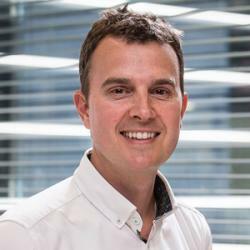 It is Rouanne’s new role that will raise the most eyebrows, as his new job spec may rule out the need for a CTO (there is no mention in the press release of current CTO Hossein Moiin). The reference to Bell Labs also raises question marks over the future of Alcatel-Lucent’s CTO Marcus Weldon (also president of Bell Labs). Nokia’s HR chief Hans-Jurgen Bill will serve as chief human resources officer of the new combined company, while current VP of corporate strategy at Nokia Networks, Kathrin Buvac, will serve as chief strategy officer. The chief marketing officer and chief legal officer roles remain unchanged, served by Barry French and Maria Varsellona respectively. Separately, Alcatel-Lucent said yesterday it will not sell its undersea cables unit, meaning the strategic business which underpins the global internet will be taken by Nokia once it completes its acquisition of the Franco-American group. Alcatel had previously said it planned to sell a majority stake in Alcatel-Lucent Submarine Networks (ASN) or list the business separately, but has now opted to keep the unit instead. Nokia expects to operate ASN as a separate entity. Nokia’s all-share acquisition of Alcatel-Lucent is expected to close in the first half of next year.